Apple is currently preparing to release iOS 7 — the latest version of its mobile operating system, which opens to the public on September 18 — but in the meantime it has made an interesting move after it began allowing devices running older versions of iOS to download apps that are backwards compatible. 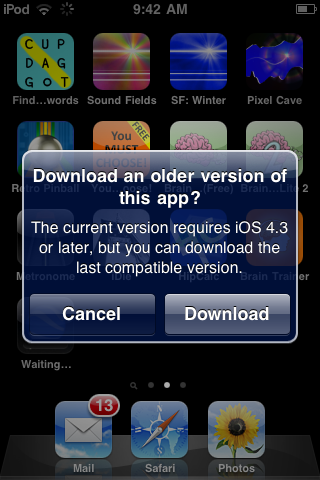 For example, a user running iOS 5 can now — for the first time — download an app that supports that version of iOS, even if the latest version of the app is ready for iOS 7. The move, which was highlighted on Reddit, is a significant one as it will give those who have not upgraded their iPad, iPhone or iPod to the most recent versions of iOS access to a lot more apps. 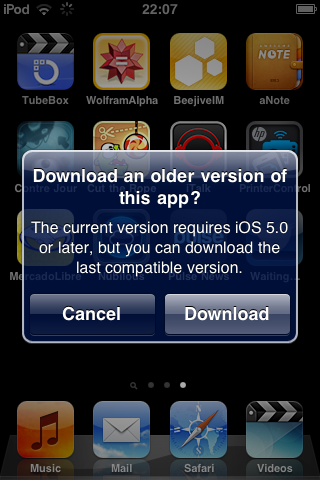 Here, from Reddit, is an image that purports to show an older version of iOS being offered a download of an app that is backwards compatible with iOS 5.0. We’re still testing this feature out (it’s legit: see below) and have contacted Apple for more details. Unlike Google, which has a great deal of users operating different versions of Android, fragmentation is less of an issue for Apple. The company announced in June that it had sold over 600 million iOS devices to date, of which an impressive 90 percent run the newest version of iOS. 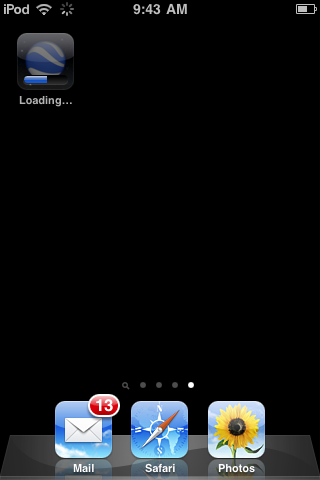 The uptake of a new iOS version is usually impressive. Indeed, back in September 2012, Apple revealed that over 100 million devices had switched to iOS 6 within one week of its launch — that figured had doubled to 200 million by the end of October 2012. 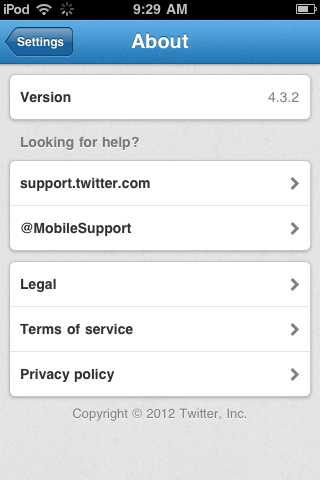 While it may be less fragmented than Android, some companies do have a legacy version of their apps for older devices. Spotify is one such example, offering an iOS 4 version of its music streaming player, in addition to the flagship version. Today’s news is a boon for developers as their apps will be available to older devices — and those that are jailbroken on older versions of iOS — without them needing to lift a finger. Although apps relying on API access, may lose their functionality in older versions. 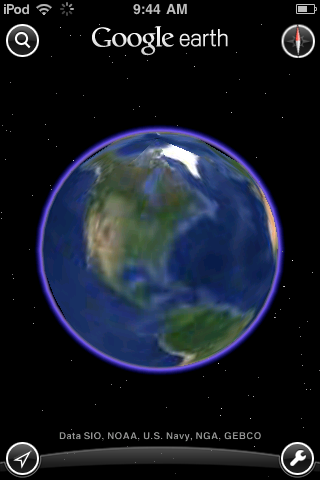 Update: Thanks to @lightmanx5 for verifying this with screenshots from older versions of Google Earth and Twitter, images below. If you are using legacy apps, you might consider adding them to his newly opened Wiki.